Meet our 2nd official!! Lizzie will assist with all the food gathering and be the friendly face at the finish line. 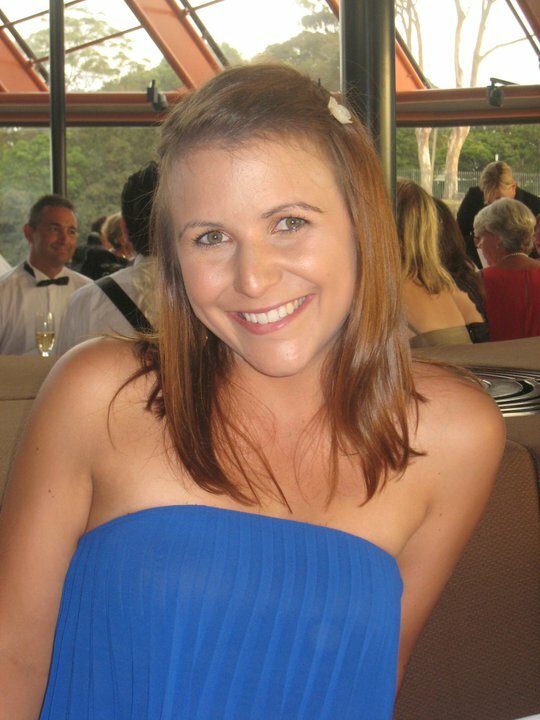 "I am 23 and I am working as a Speech Pathologist. I am no mountain bike rider but enjoy tootling around on a bike around Melbourne. Unfortunately due to work and social commitments have not made it too as many of Steve's races as I would of liked, so I am very excited to take this opportunity in Italy to watch him race at an international level. I have lived out of home for 6 years so feel I have developed adequate cooking skills to appease everyone's tastes. I am attempting to teach myself some Italian, so hopefully that will be an asset. I am using the World Champs to start my 9 week European adventure will will take me through Italy, Germany, Poland, France and England. I have never been to Europe before so am very excited!" Touring Europe for 8 weeks after WOC!